Patented digital SafeLink® FM technology provides the maximum protection against false activation caused by stray radio signals. FM technology is less prone to interference than the AM systems used by other brands, and that makes Fido’s Fences the most secure electronic fence available. DogWatch receivers have a unique status light that provides valuable information to help keep your pet safely in your yard. 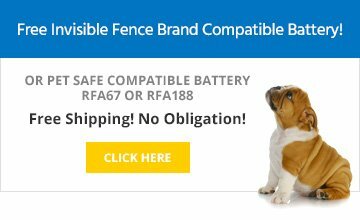 It also lets you know if the receiver battery is low and if your pet has recently challenged the electronic fence. The DogWatch transmitter and receiver offer up to twenty unique options (plus audible only) to ensure safe, appropriate containment for all pets. The settings are easy to understand and user adjustable (no service call required). This patented safety feature automatically adjusts the receiver’s correction level if your pet challenges the boundary. This discourages additional boundary challenges. The receiver automatically resets to the original level after 24 hours without a boundary challenge. If your pet challenges his boundary, the status light on the receiver double flashes, an indication that you may need to adjust the fence settings. The receiver resets after 24 hours without a boundary challenge. TattleTale is a patented safety feature from DogWatch. 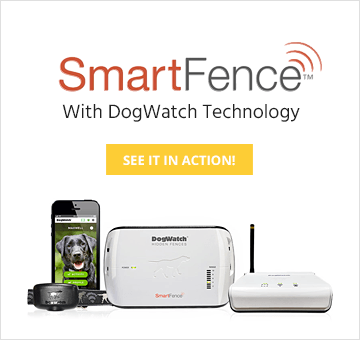 All DogWatch systems include a warning signal to alert your dog that he is approaching the boundary. We offer either an audible or a vibration alert. Your pet quickly learns to stop at the warning signal – before he reaches the hidden wire. Optional GentleFitTM Contact Posts are easy on your dog’s skin. They are smooth like our standard stainless steel contact posts to minimize friction and low profile for a comfortable Pet-FriendlyTM fit. The DogWatch system is designed to protect your pet from an over-correction in the unlikely event that your dog stands in the signal field and does not quickly exit. The receiver will automatically reset once the dog leaves the signal field.